The Prayer Shawl Ministry (formerly Casting God’s Love) has been busy! The next knitting lessons are scheduled for Saturday, April 22, 10 am to noon, as we create shawls, lap afghans, and scarves, which are then given to people in need of prayers and comfort. Beginning knitters and crocheters are welcome! If you have any questions, please contact Susan LeStrange. Here is a prayer shawl recently completed and modeled by Betty Kelly. What a great color! 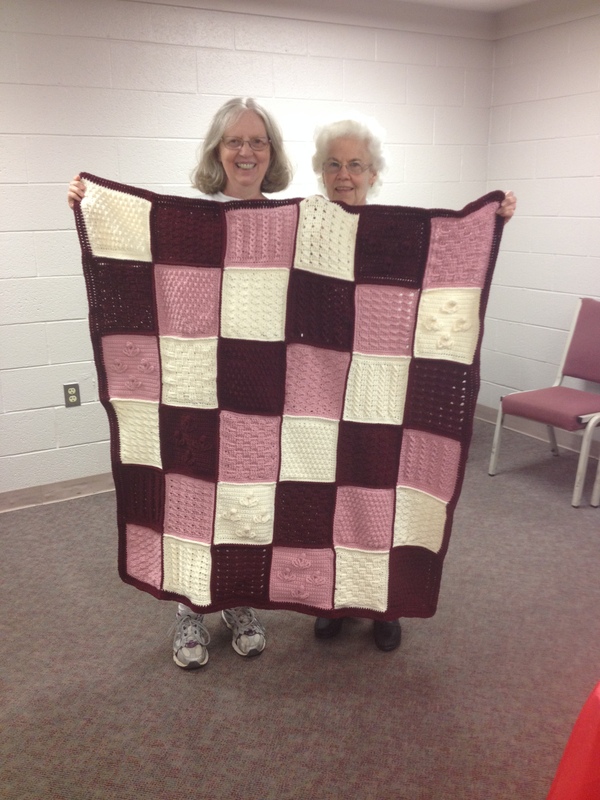 Here is a picture of a recently completed lapghan, held by Mary Ann Hinkle and Betty Kelly. Someone donated several of the squares to the Prayer Shawl Ministry. Mary Ann Hinkle finished the rest of the squares and sewed them together. It is very warm and will make a wonderful gift to someone needing comfort. 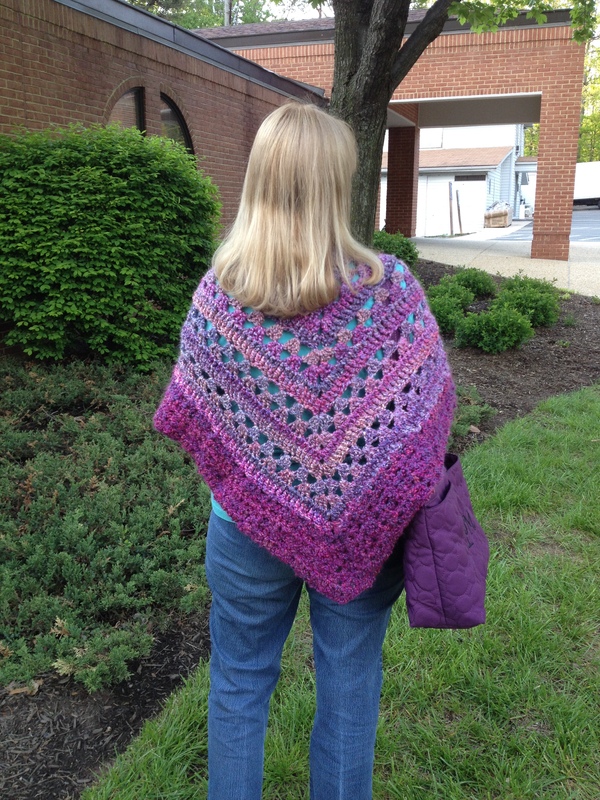 In addition, the picture below shows a triangle shawl created by Ruth Haynie and modeled by Sue Pierce. This shawl has already been delivered and is currently providing comfort and support. 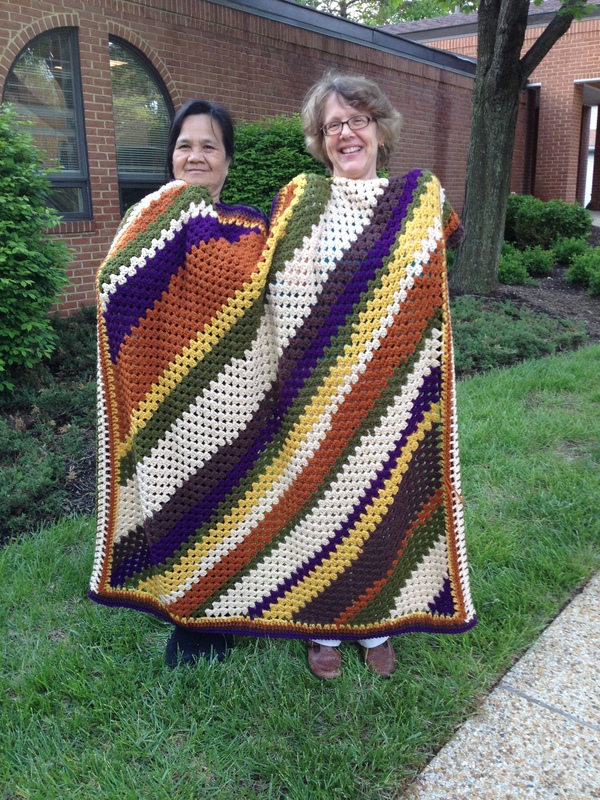 Here is another shawl crocheted by Ruth, with Mary Lou and Sue as the models. If you would like to have your completed shawl shown on the website, please send your picture to Sue LeStrange at lestrangesue@gmail.com. Throughout the year, Casting God's Love makes prayer shawls and small blankets for those in the hospital or recovering at home. During the holidays, Casting God's Love provides for our military service members. Love to knit or crochet? Have a heart for our military service members? Please pick up some yarn in the basket near the coat racks and make a hand made scarf for holiday care packages going out via Operation Gratitude. Crochet and knit patterns provided as a handout near the basket. Feel free to attach a tag with encouraging words or your email address.